A Couple’s Session – Very Steamy!! I’m very excited to share some images from a “Couple’s Session” I did recently. I'm in the New York Times!!!! What a wonderful vintage Boudoir Shoot. Here is a sneak peek. Sneak Peek of Miss Heather . . . Enjoy the sneak peek of Miss Heather. Thank You to All Who Visited Us at The Expo! The Wedding Expo was a huge success! It was a pleasure meeting all of the brides who stopped by the booth. I look forward to working with the brides who booked a session. We will have a blast!! Hurry – There are only 4 spots left!! 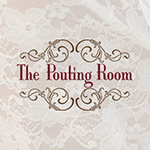 Contact the studio to sign up for your mini-session at our Boudoir Bash!